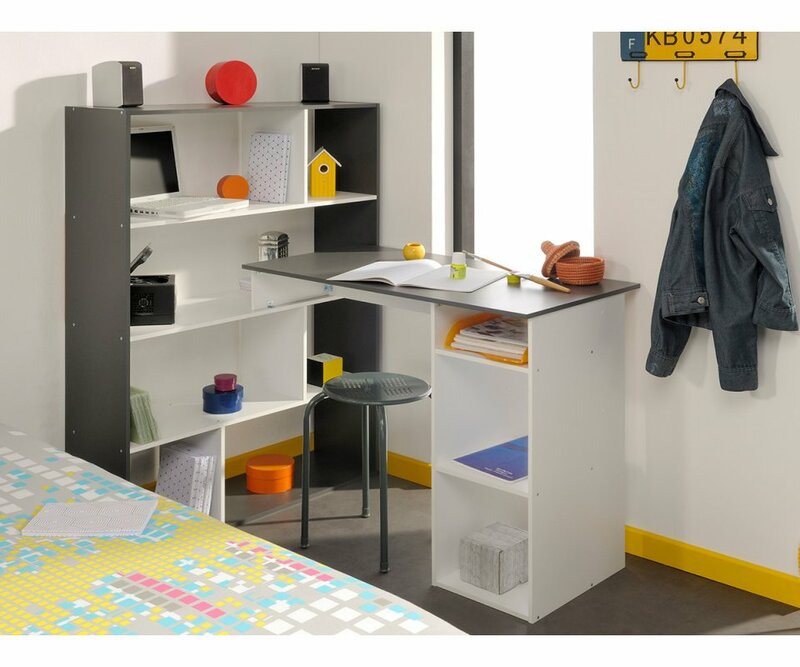 RoomSmart’s Kurtis Corner Desk makes the most of unused floor space in a bedroom, kitchen or family room! The L-shaped configuration is made from intersecting a bookcase and a desktop with open cabinet at the other end, allowing the desk to fit neatly into a corner. The bookcase has 4 shelves, and features dividers that are placed asymmetrically on the shelves for creative arrangement of books, photos and collectibles. 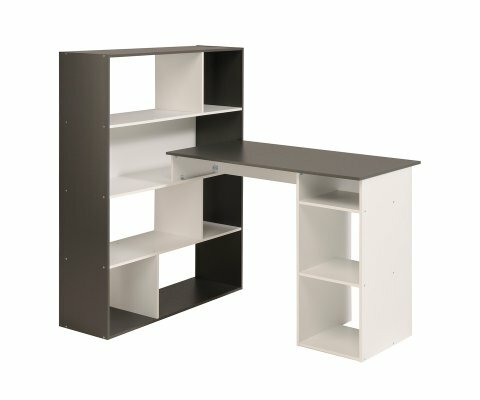 The streamlined 3 foot desktop surface is perfect for computer work, projects and crafts, and has a 3-shelf unit at one end for organizing desk supplies and storing printer and paper, tools and craft items. 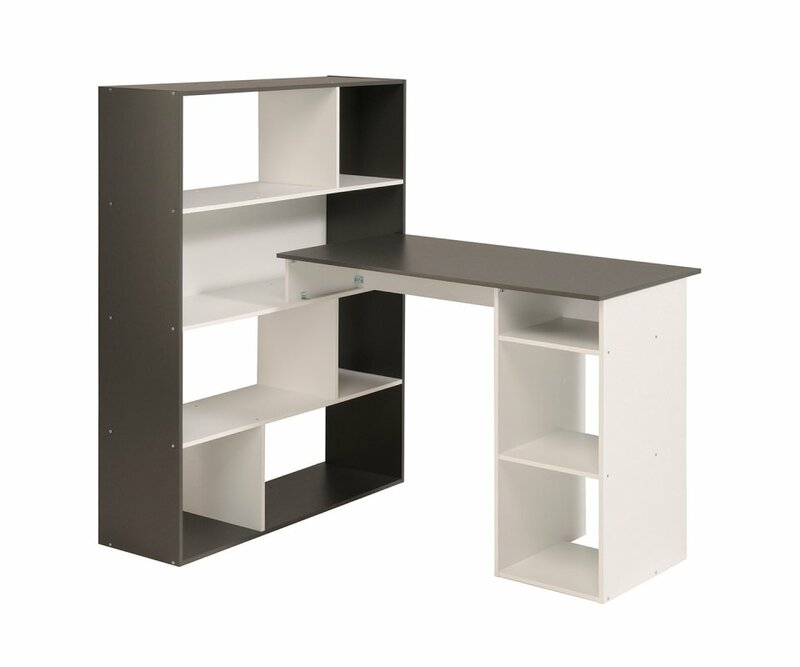 The desk is made in a dramatic two-tone Black and White combination that coordinates well with woodgrains, bright and pastel color schemes and with bedroom themes. Add style, organization, and space-saving solutions to any room with the Kurtis Corner Desk!